What can you do with all that leftover turkey? 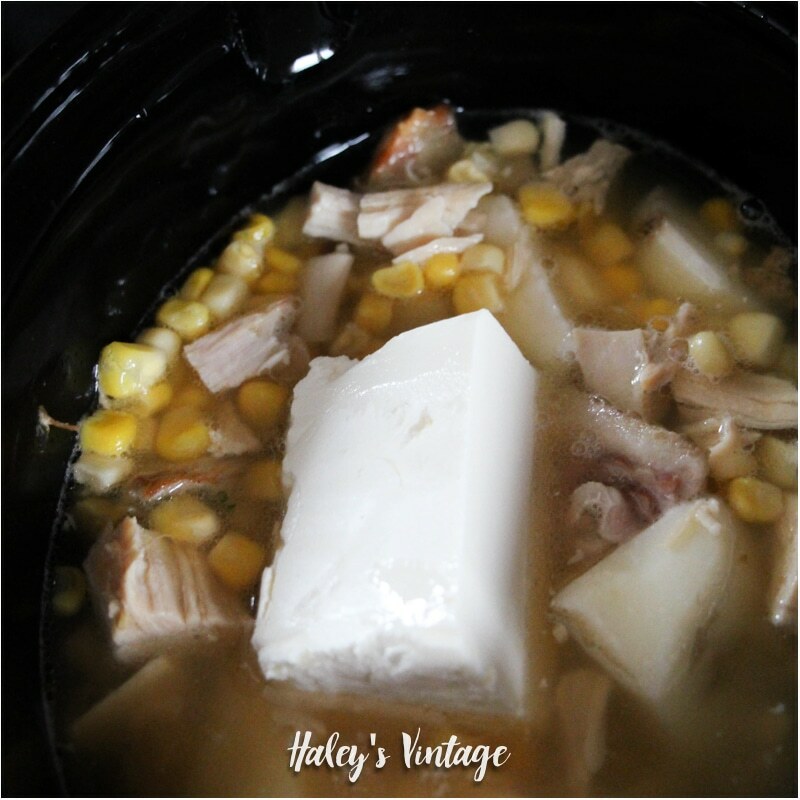 How about making some Turkey Corn Chowder in your slow cooker? 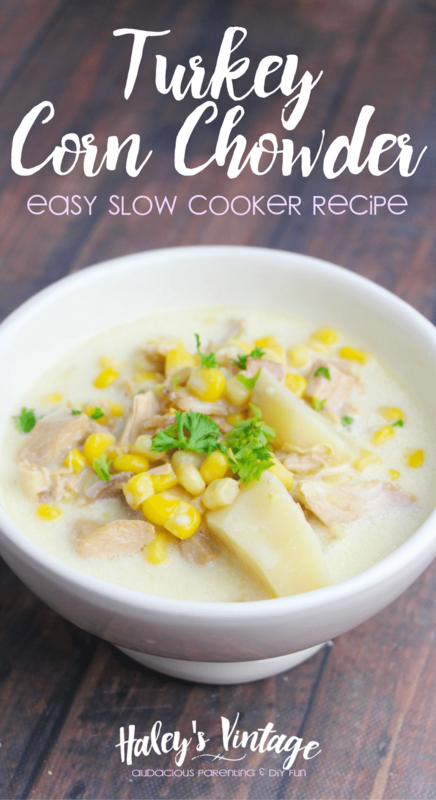 I just LOVE slow cooker recipes! They are easy, yummy, and quick. Plus, you can get out the kitchen for a little bit and relax after a long day. 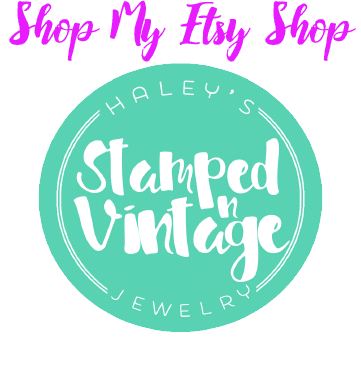 Go Ahead & Pin Me! 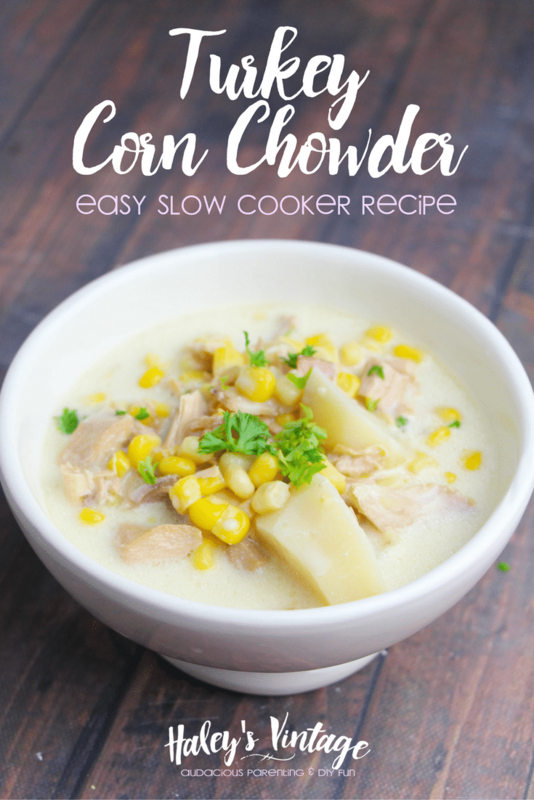 I just love slow cooker recipes! They are so easy and take the stress out of cooking for your family. This recipe is also a great way to use up all that leftover turkey, and you can switch out the turkey for chicken and use this all year long. I also have four great smoothie recipes if you are needing a turkey detox LOL! 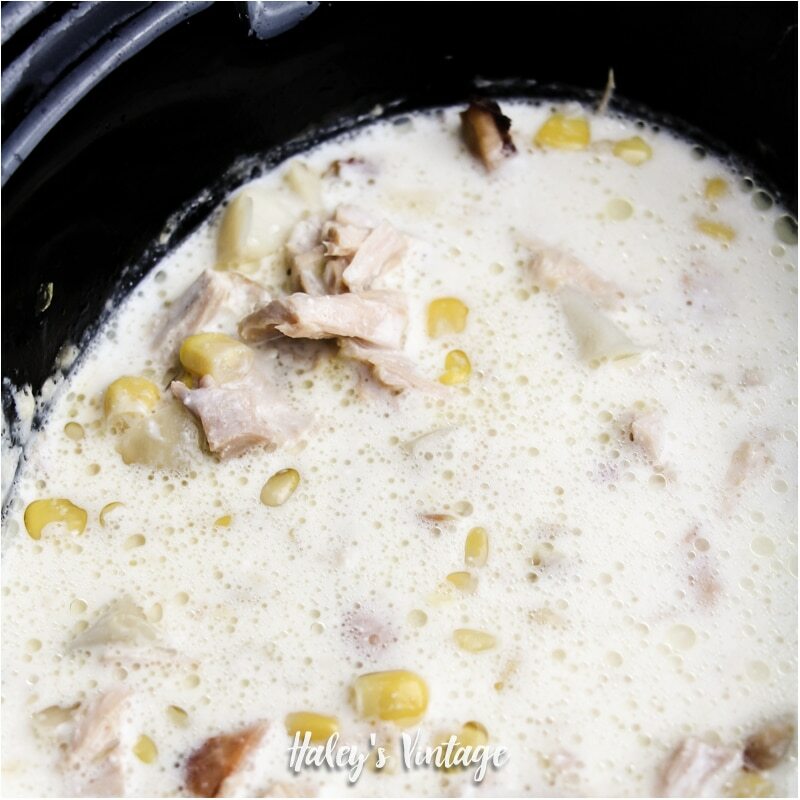 Are you ready to make some delicious Turkey Corn Chowder? First up is my step by step directions, and at the bottom, you’ll find a printable version. Next, cover and heat on high for approximately 10 minutes, until onions are translucent. 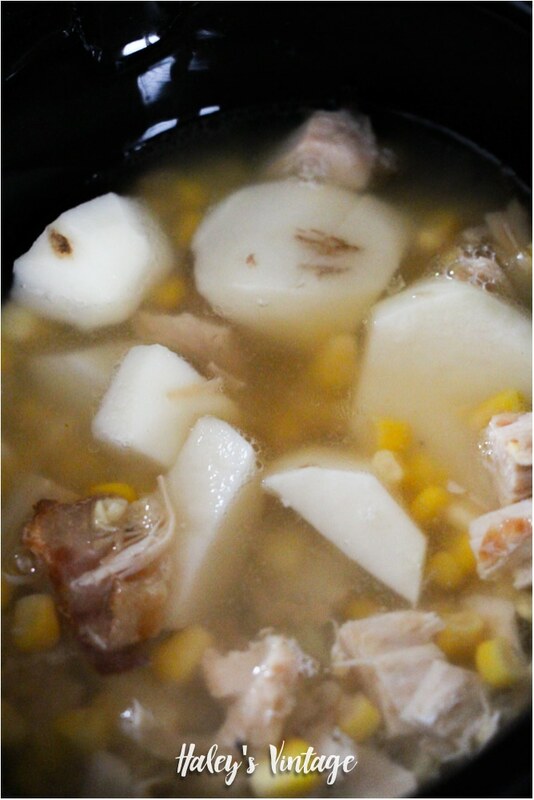 Add the corn, potatoes, turkey and broth. Stir and cover to cook on high about 45 minutes to an hour (on low 2-3 hours). Add the cream cheese and allow to melt into the broth, approximately 15 minutes. Season to taste, and then stir in the heavy cream right before serving. 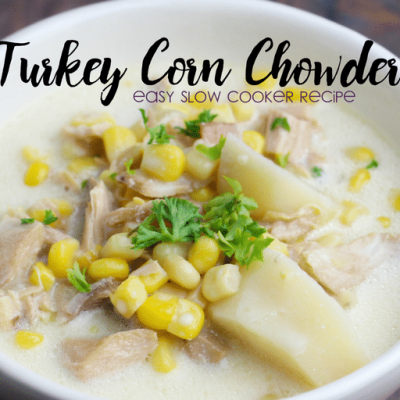 Below you will find the full Turkey Corn Chowder recipe. I love how easy it is to print your recipe to add it to your recipe binder. Or go ahead and pin to your favorite slow cooker board! 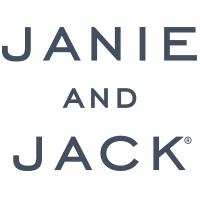 What can you do with all that leftover turkey? 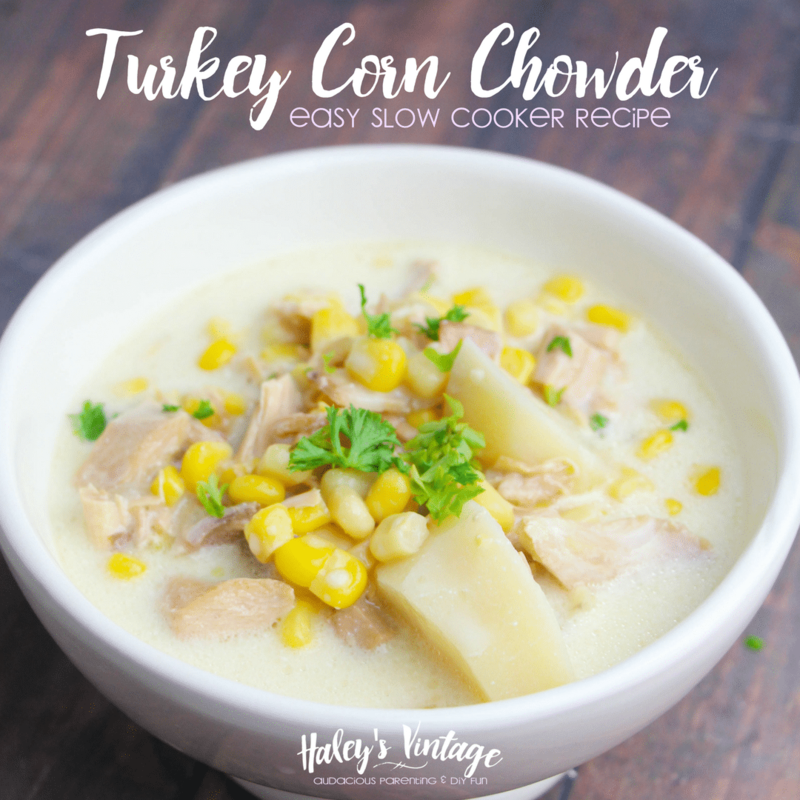 How about making some Turkey Corn Chowder in your slow cooker? Place oil, bacon, onion and garlic in a large slow cooker. Cover and heat on high for approximately 10 minutes, until onions are translucent. « 20 Healthy Lunch Recipes for Work That Are Not Boring!